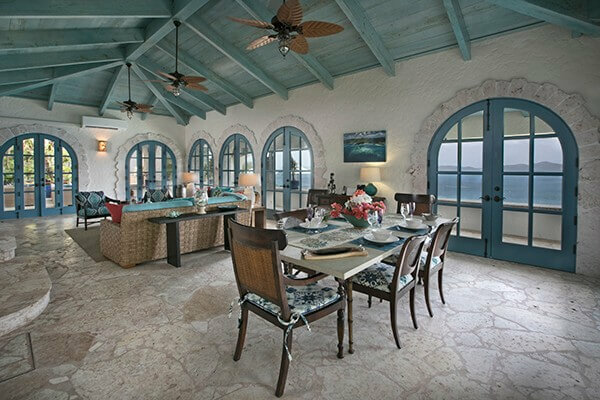 The Cliff House is one of the first homes built in St. John’s exclusive Peter Bay community. 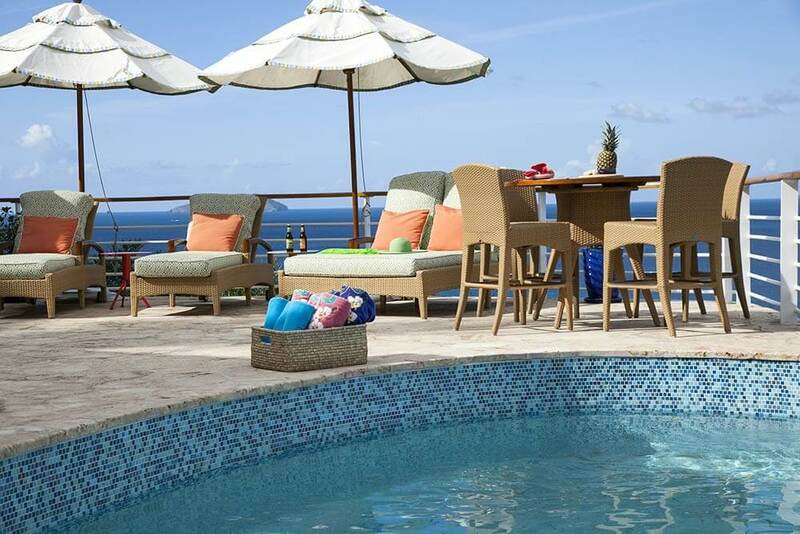 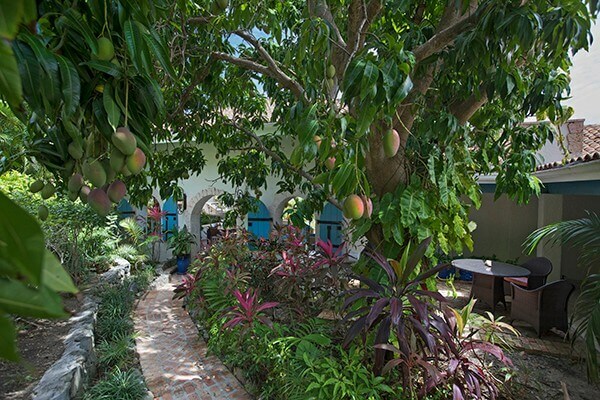 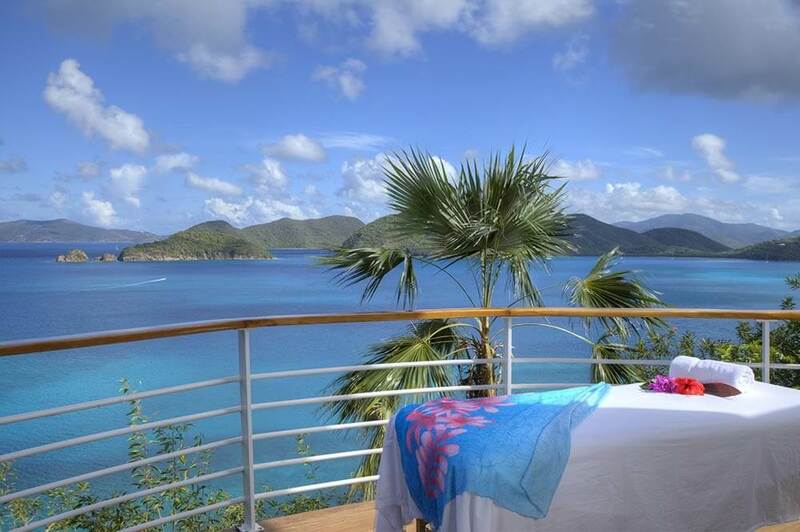 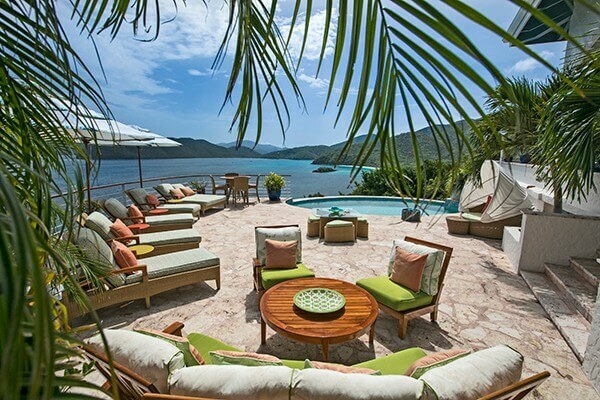 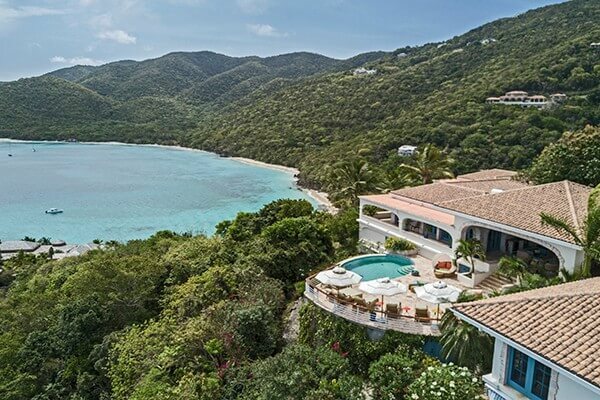 The location was chosen for it’s uniquely beautiful setting on three acres atop a cliff, overlooking incredible beaches, the neighboring British Virgin Islands, The Sir Frances Drake Channel and the Virgin Islands National Park. 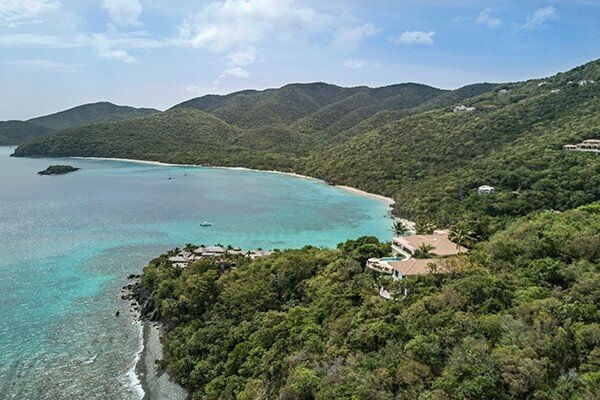 Along with the amazing views, enjoy a wonderful home that offers near constant tradewind breezes, luxurious furnishings and complete relaxation and privacy. 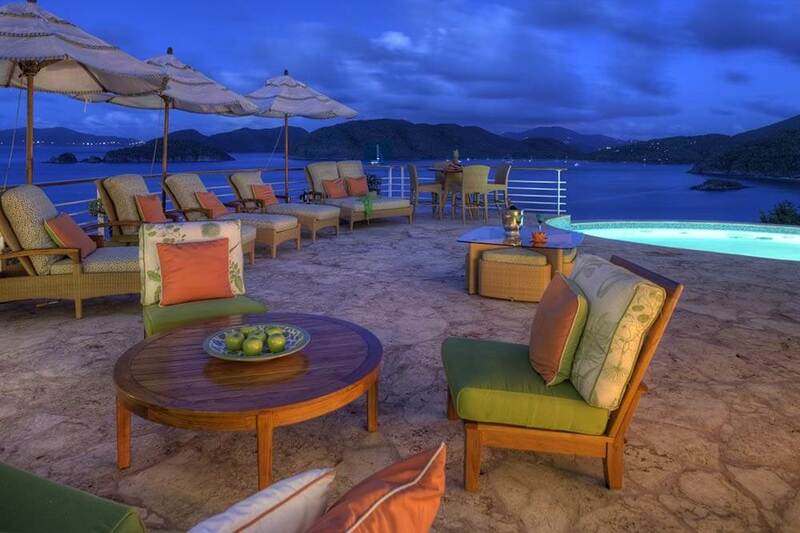 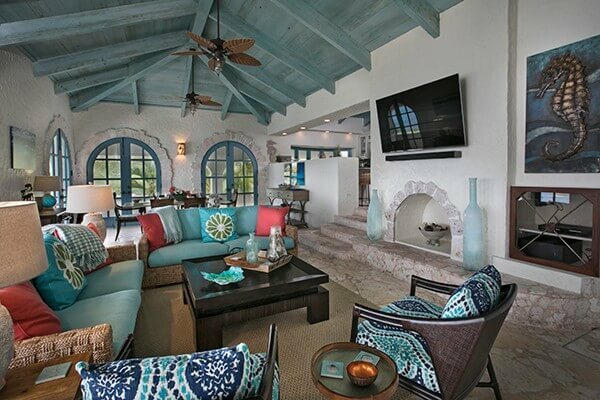 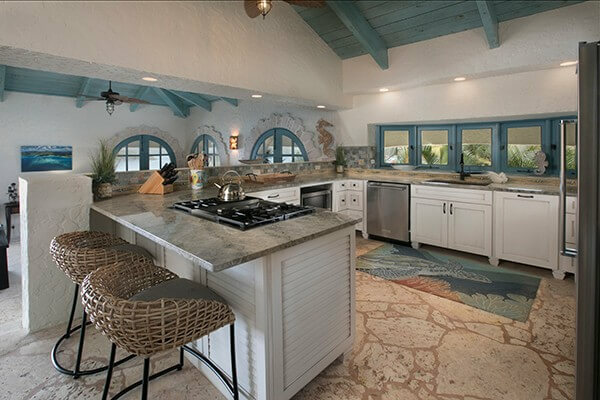 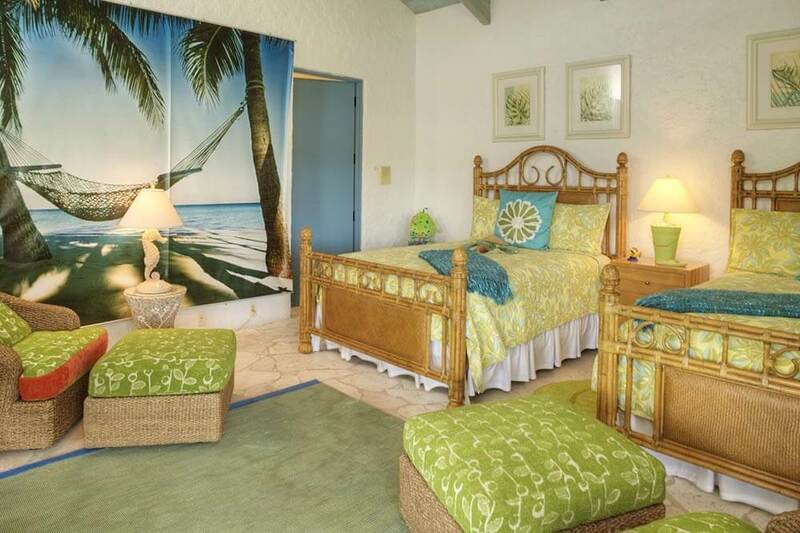 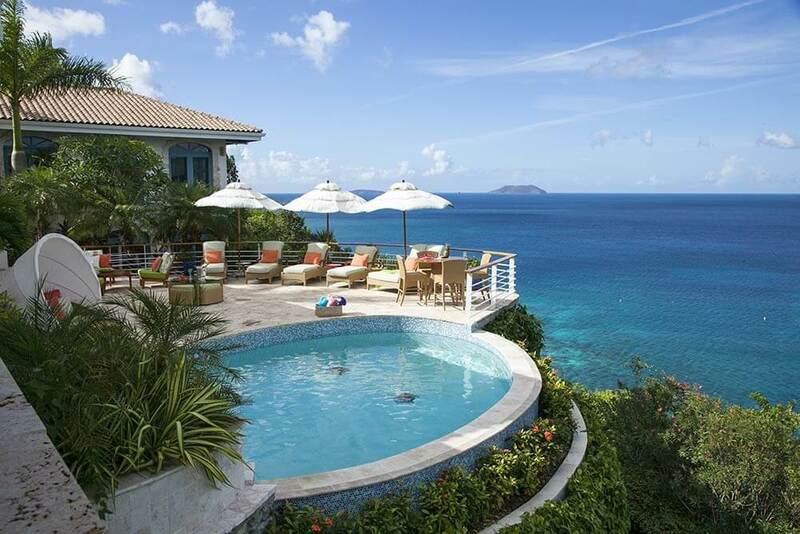 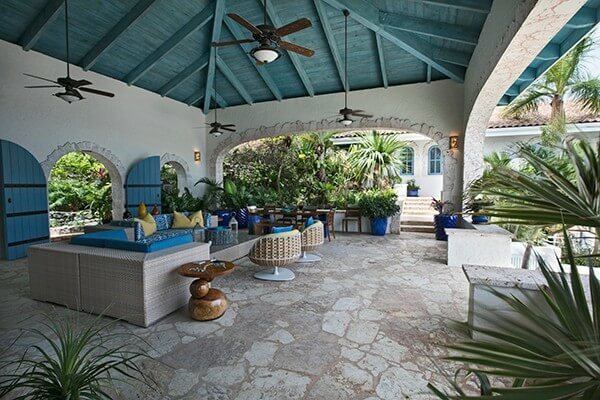 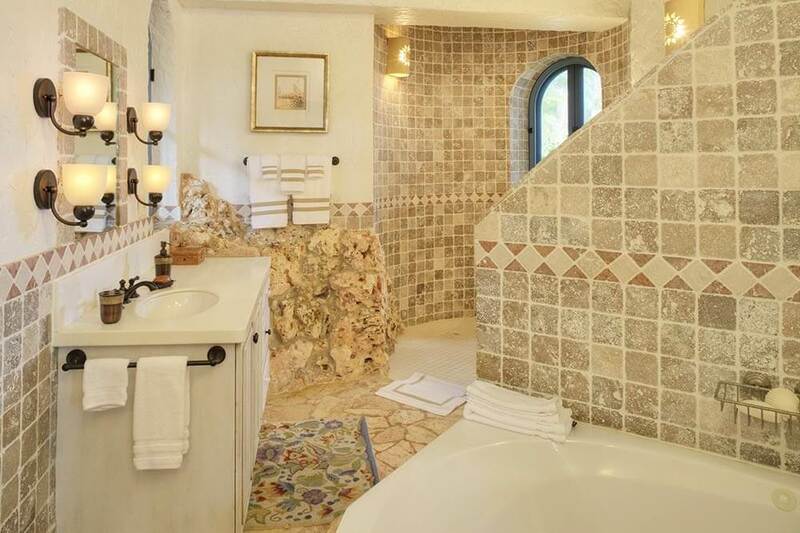 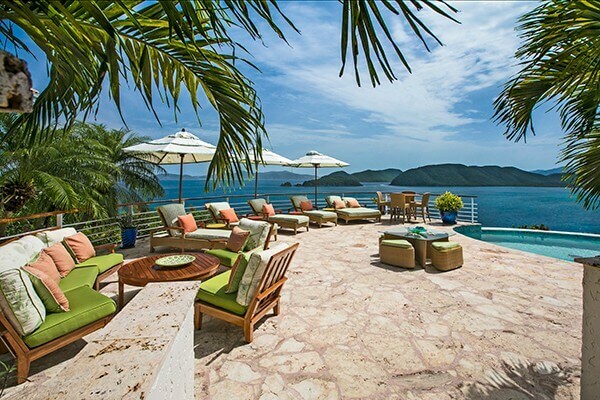 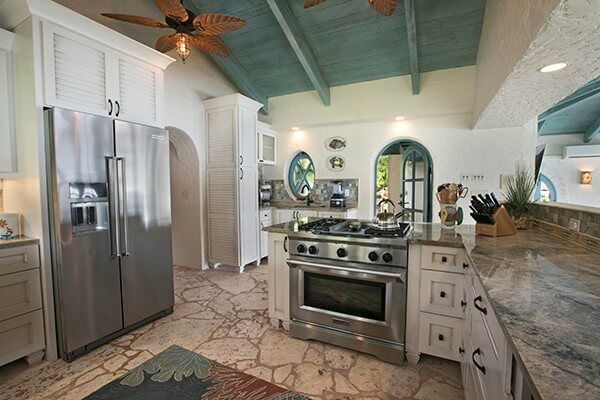 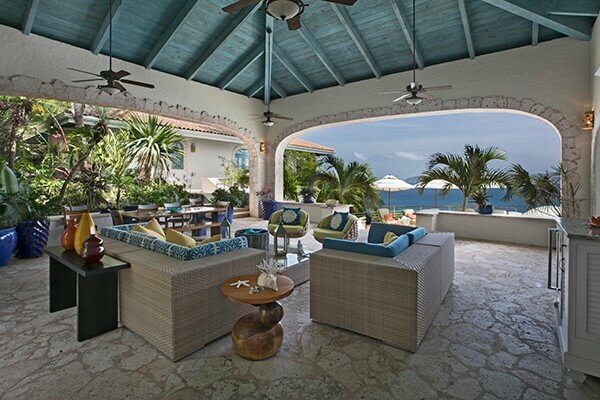 The Cliff House Villa is truly an island paradise unto itself. 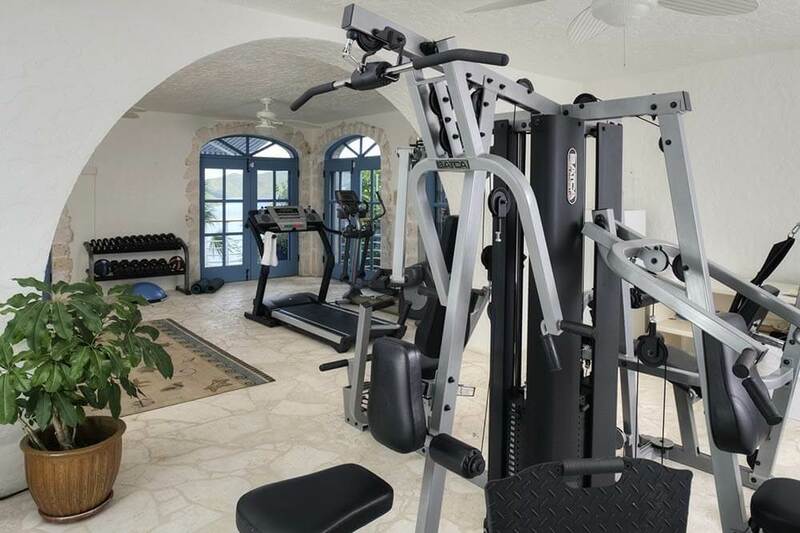 The very large and spacious villa has 4 large bedrooms along with a state of the art fitness gym on site. 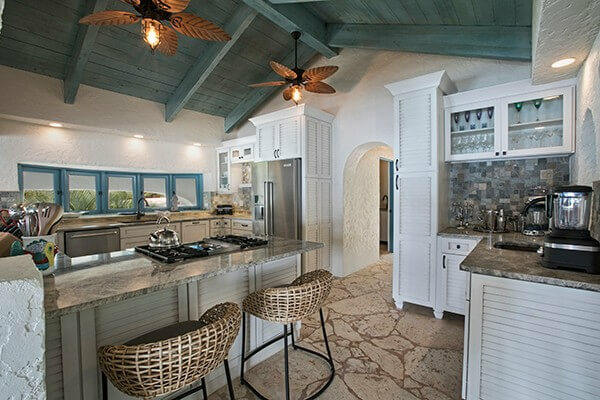 This home will have you feeling relaxed as the days of your stay melt away, you may feel the need to go absolutely nowhere. 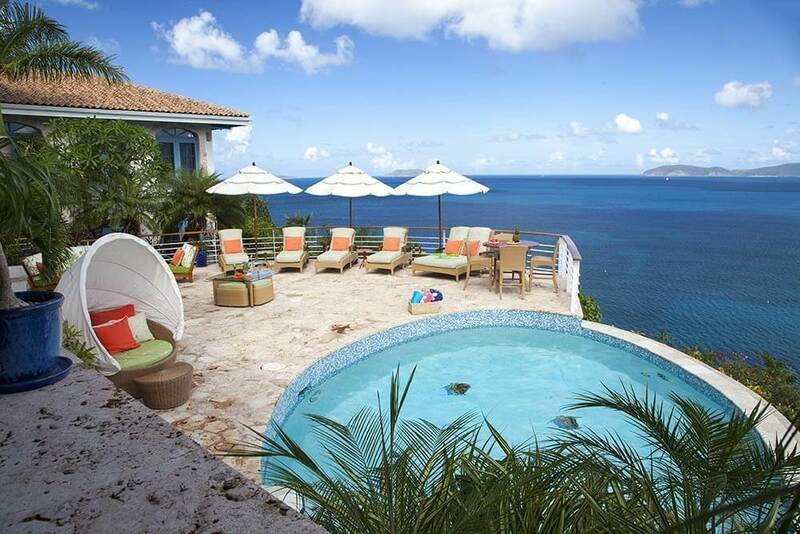 However, many world class beaches are in the immediate proximity. 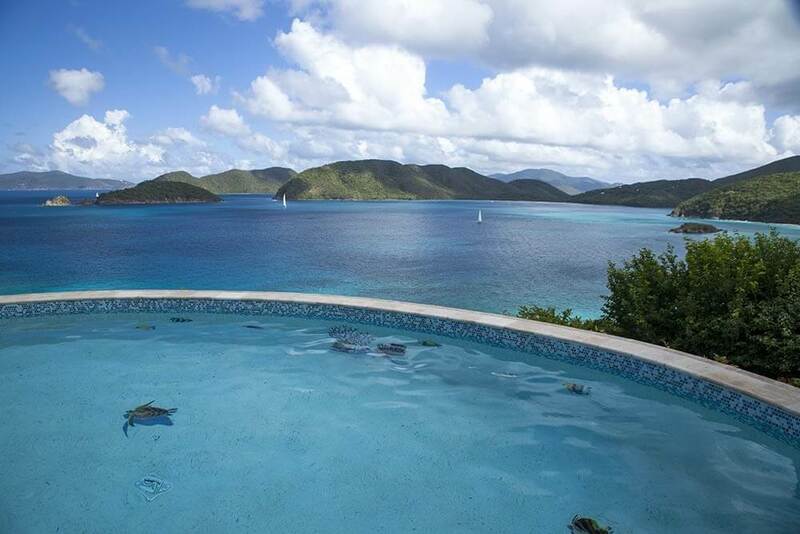 Including Maho Bay, Cinnamon Bay and world famous Trunk Bay. 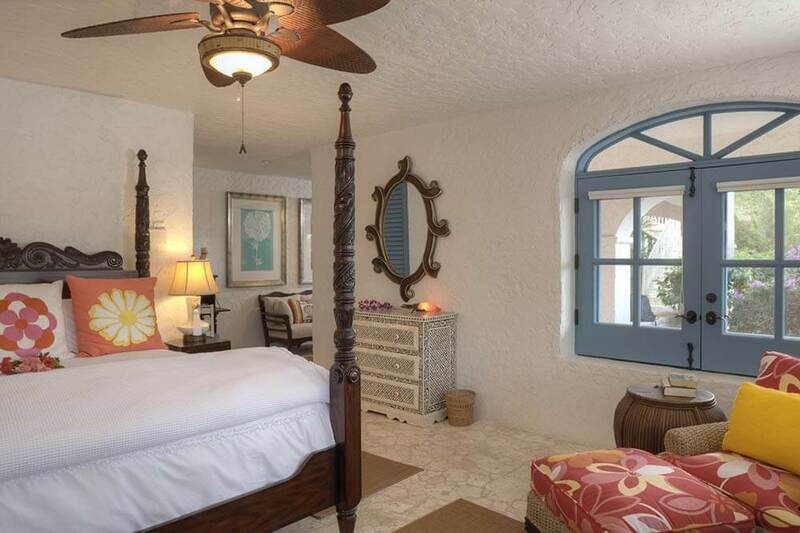 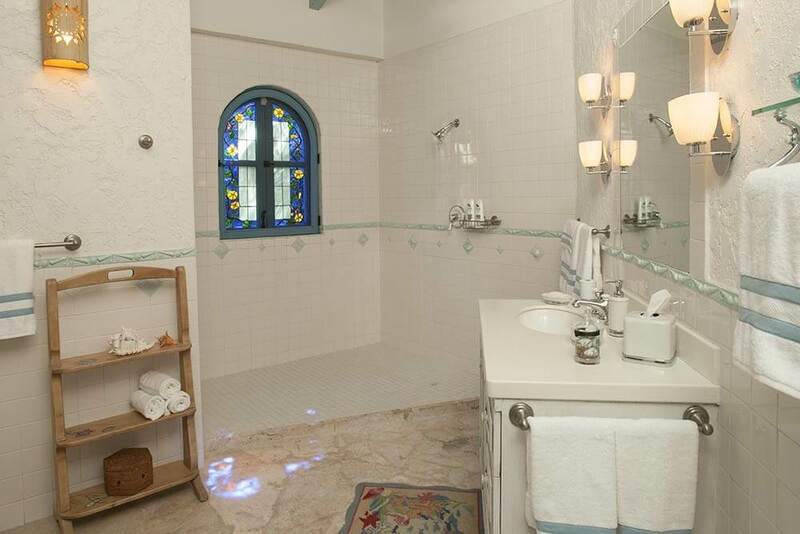 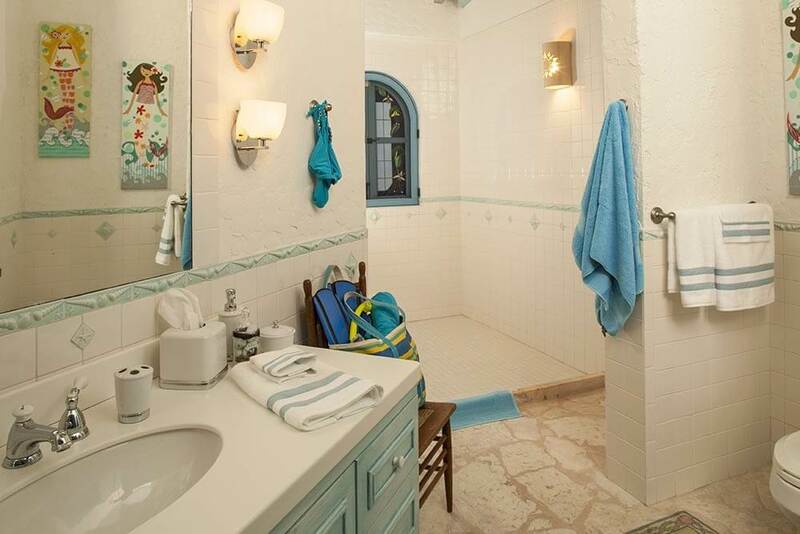 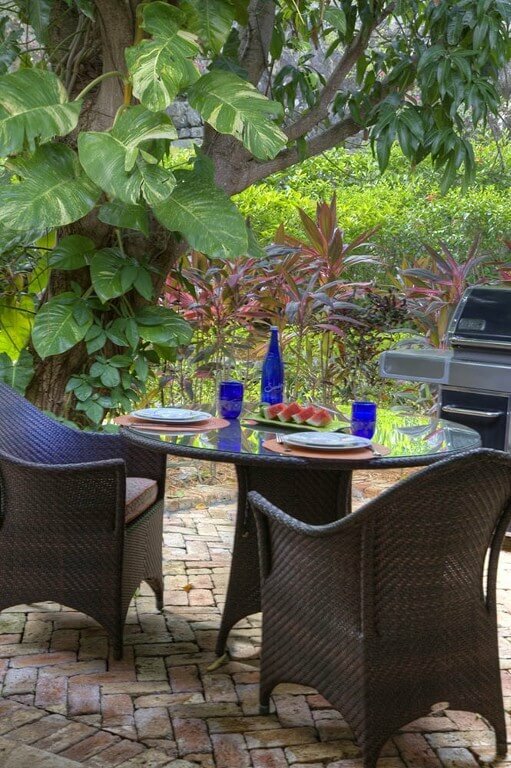 This newly renovated home offers glorious and near constant tradewind breezes and sounds of the ocean 100 feet below. 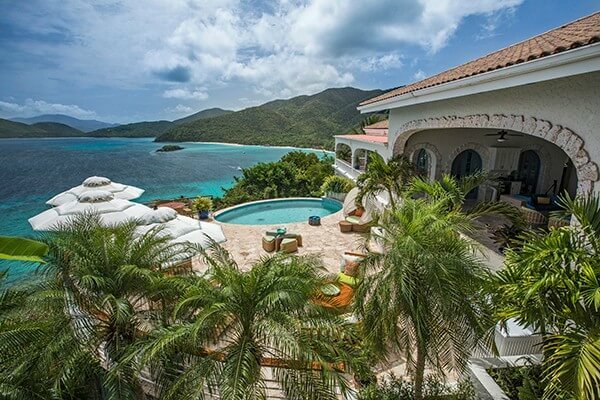 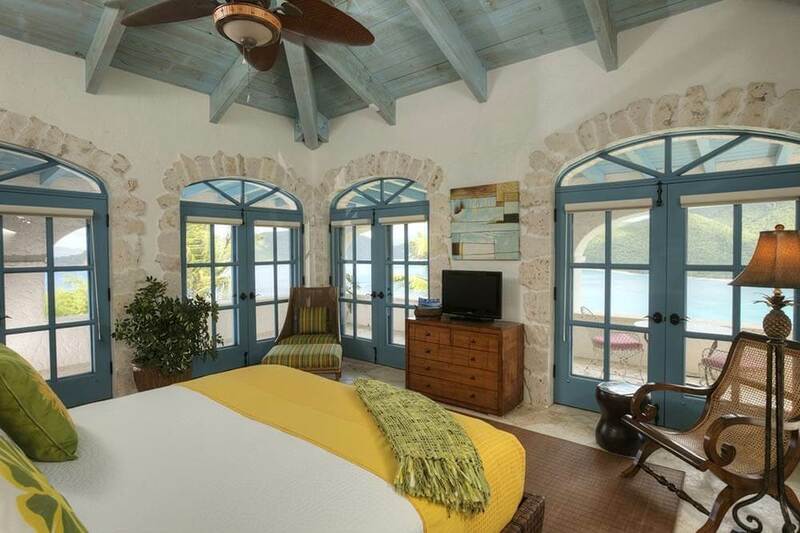 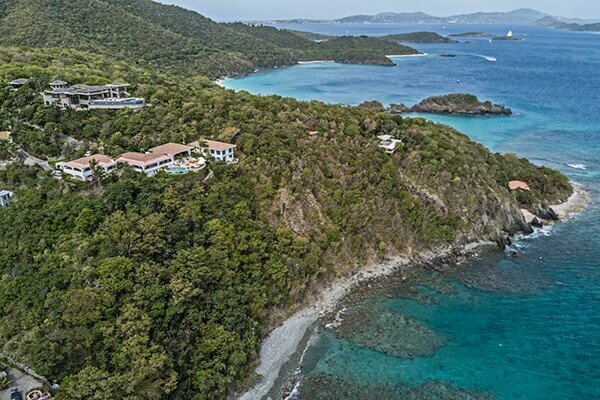 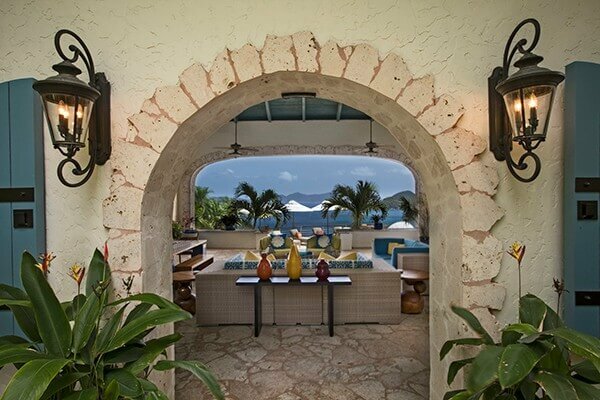 Cliff House is located within steps of a beautiful private white sand beach in an exclusive privately gate community on St. John.